The Threadripper 2990WX was already pushed to 5.4 GHz last week, but it looks like there is room for more overclocking when enough liquid nitrogen is used. 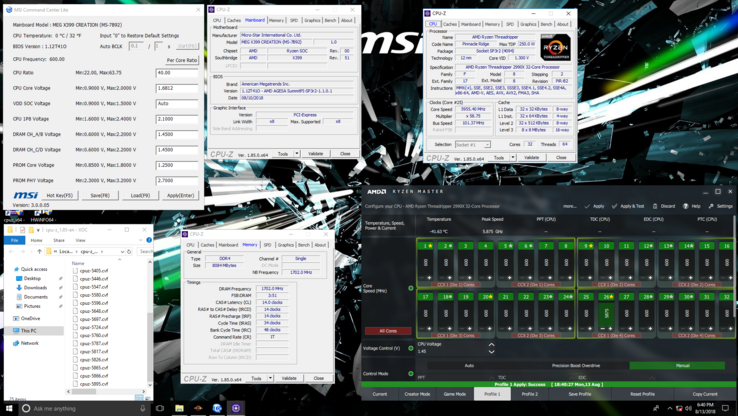 Overclocker Ivan Cupa managed to get all 32 cores of the 2990WX model running at an outstanding 6 GHz, but there is no way of telling how much better it performs, as no benchmarks were provided. While Intel is struggling to match AMD’s mainstream CPU offer, also planning a counterattack with the gen 9 Core processors for early October, the red team is now wreaking havoc in the high-end desktop sector with the Threadripper 2000-series, so Intel has even more catching-up to do. The latest Threadripper models already proved to be faster than last year’s Core i9 HEDT CPUs by a serious margin, and AMD’s models even managed to perform better than Intel’s upcoming 28-core showed at Computex. Of course, professional overclockers could not stay away from the beastly Threadripper 2990WX and attempted to boost all cores as high as possible using liquid nitrogen. 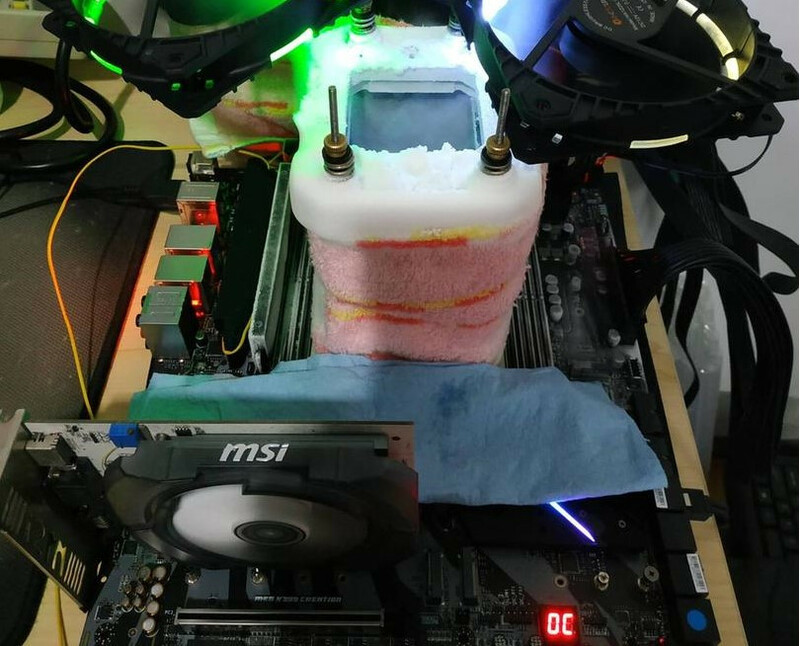 Last week, HWBot reported a 5.4 GHz successful overclocking attempt, but this week, Indonisian overclocker Ivan Cupa managed to push all 32 cores to an outstanding 5.95 GHz. Unfortunately, he did not provide any benchmark test results to see how much better it performs compared to Intel’s 28-core model OC-ed to 5 GHz. It is interesting to note that Cupa used CPU-Z and AMD’s Ryzen Master utility to record the frequencies and CPU voltage, and the results differed somewhat. While both utilities reported a CPU voltage of 1.45 V, the peak frequency reported by Ryzen Master was 5.87 GHz, instead of 5.95 GHz. Even so, this is no mere feat. Cupa used an MSI MEG X399 Creation motherboard and a Corsair 1500 W PSU along with copious amounts of liquid nitrogen, plus 8 GB of DDR4-1700 RAM from GSkill.